A scheme by the publisher of Newsweek and the International Business Times to buy fraudulent traffic in order to help secure a major ad contract from a US government agency has come to light in a new report released by independent ad fraud researchers. According to the report, IBTimes.com won a major video and display advertising contract from the Consumer Financial Protection Bureau (CFPB) - a federal oversight agency created six years ago as the brainchild of Senator Elizabeth Warren. 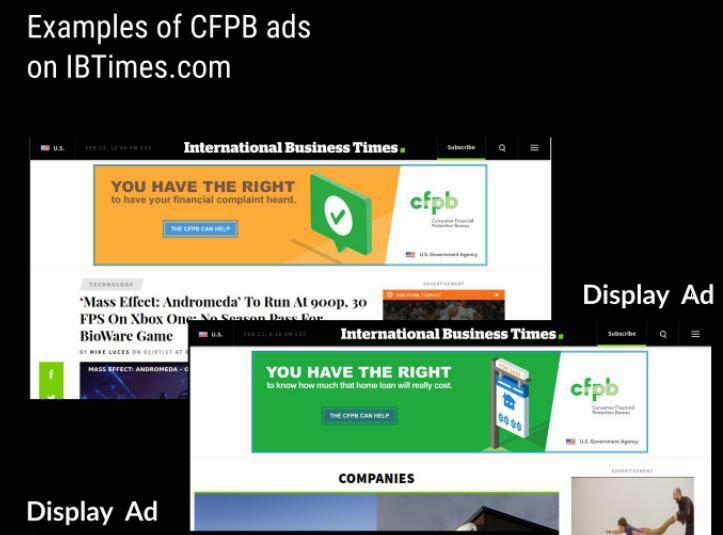 Social Puncher, a consulting firm that investigates online ad fraud, notes in its report that "ads purchased by the CFPB were displayed to an audience that includes a significant amount of "cheap junk traffic with a share of bots" - effectively defrauding the agency. Based on what it described as a detailed investigation, DoubleVerify this week classified IBT’s US, UK, India, and Singapore sites as “as having fraud or sophisticated invalid traffic,” according COO Matt McLaughlin. DoubleVerify is now blocking all ad impressions on these sites on behalf of customers. “We use third-party platforms to verify and filter this traffic to ensure it is of the highest quality. This verification process prevents poor-quality traffic being redirected to our sites and we consistently score highly on various third-party ad verification platforms,” the company said. It declined to name the third-party verification partners it works with. The CFPB, now headed by Trump appointee Mick Mulvaney, told BuzzFeed News that the bureau is looking into the allegations. “We take allegations of fraud very seriously. Acting Director Mulvaney is actively looking into the work done by GMMB, and these allegations [of ad fraud by IBTimes.com] will be investigated as part of that process,” the spokesperson said. The CFPB has come under fire in recent months after it was discovered that the agency established a "secret slush fund" to funnel penalties collected from defendants to Democrat causes. A consultant who worked with the highly politicized Consumer Financial Protection Bureau (CFPB) claims the organization funneled a large portion of over $5 billion in collected penalties to "community organizers aligned with Democrats" as part of a giant slush fund, the Post reported in early December. [The CFPB] Funneled a large portion of the more than $5 billion in penalties collected from defendants to community organizers aligned with Democrats — “a slush fund by another name,” said a consultant who worked with CFPB on its Civil Penalty Fund and requested anonymity. The problem is that this agency and its director were set up to be free from the control of the Congress. Congress’s fundamental obligation to oversee and fund such bureaus or agencies is short-circuited when it comes to the CFPB. 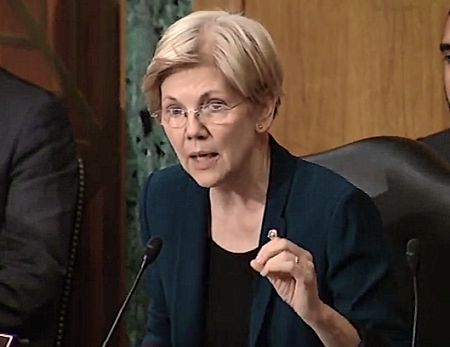 In structuring it in the manner written by now-Sen. Warren (D-Mass. ), the law abrogated the idea of a government by the people, for the people and of the people. Instead, it established an autocratic and unaccountable power center for people of Warren’s ideological persuasion — those who view our market economy as an enemy that must be managed by a chosen few. The creation of the CFPB as a rogue agency with a dictatorial leader is one of the most significant acts of malfeasance perpetrated on the American constitutional system since the Sedition Acts of 1798. 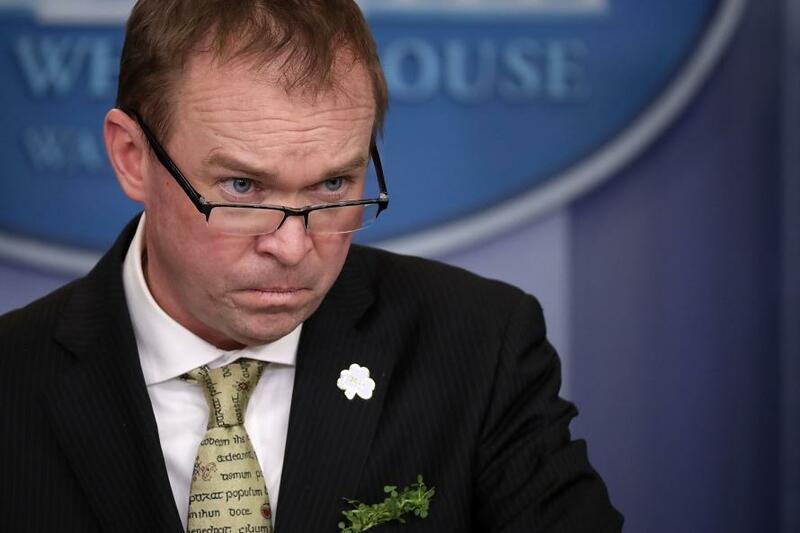 With the reins of the CPFB handed over to Mick Mulvaney in December following the resignation of Obama-era Director Richard Cordray, it appears that IBTimes.com's government-funed gravy train has just been derailed.